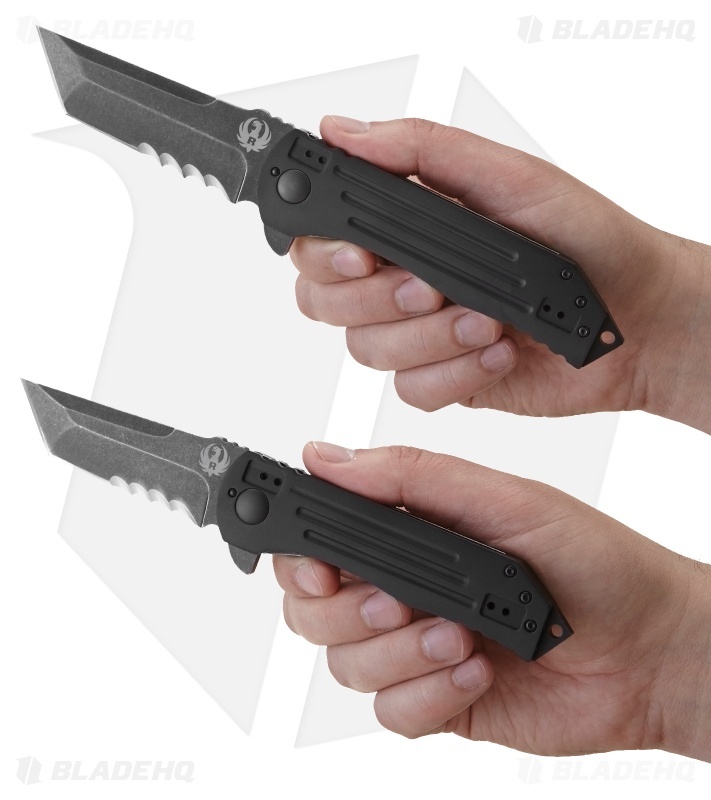 The 2-Stage Compact Tanto, designed by Robert Carter from Texas, doesn't just look tough – it is tough. Built with a sturdy frame lock frame and outfitted with black anodized aluminum scales, the 2-Stage folder offers undeniable strength in design. It's got an extended back spacer striker pommel with lanyard hole and a four-position reversible pocket clip. 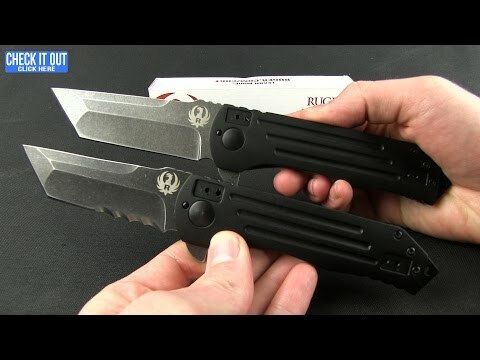 The tanto blade is black tumbled stainless steel and opens with the flipper tab. This is a lust-worthy folding knife with substance. 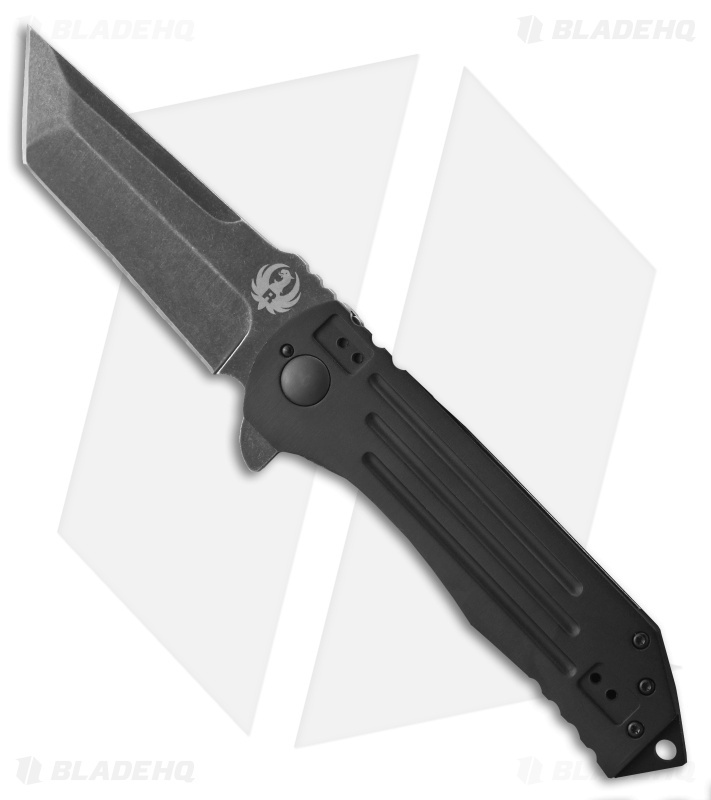 Ruger Knives chose to work with CRKT to produce a full-line of hunting, tactical, and everyday carry knives. Their knives feature the designs of five of the industries top knife makers. I love the blade, super smooth. 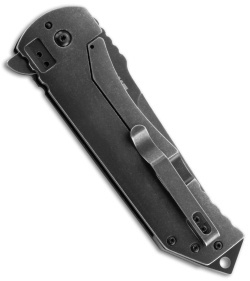 I love the handle and lockup is great, my only small complaint is the flipper action not my favorite, Hoping it will get better with time.